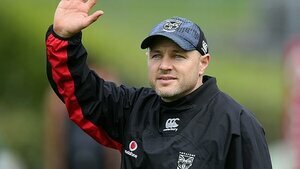 After three years at the helm of the New Zealand Warriors and three years of missing finals footy its time for Andrew McFadden to do the honourable thing and fall on his sword. His perplexing bench selections have boggled the minds of even longtime league fanatics. McFadden's penchant for carrying a specialist outside edge player seemed like a bad choice for most and absolutely pointless when that player would do nothing but warm the bench. Games against bigger packs like the Sharks saw us come undone when an extra forward was a more logical choice. Most disappointing was seeing his late change that saw Tuimoala Lolohea benched and replaced by Jonathan Wright who went on to have his worst game in Warriors colours against the Sharks. Most annoying is McFadden didn't seem to learn any lessons he would make the same mistake against the Raiders bigger pack again carrying Lolohea on the bench. While we're talking about Tuimoala Lolohea it's been disappointing to see his development not only stagnate but go backwards under McFadden's tutelage. He would drop Lolohea to the bench to work on some deficiencies in his game yet make him work on them by sitting out the first 80 minutes of the match and only bring him on in Golden Point after Blake Ayshford was injured. Surely he would have been better working on his game in the Reserve Grade? Whatever happened to Lolohea being the long-term five-eighth of the club? He hasn't been back there since Roger Tuivasa-Sheck got injured. Long-term five-eighth for all of ten minutes. Even more laughable was when he again dropped Lolohea citing his need to restore his confidence when it was McFadden playing positional musical chairs with Lolohea's selections that had destroyed his confidence in the first place. So what changed so badly that less than a half a year later the club were publicly trying their level best to shop Hurrell around? From all accounts he came back to camp fully fit and was training the house down. I appreciate there is likely to be more to this then we will probably ever know but the fact remains that the coach lacked the ability to turn Hurrell into the player envisioned at the time of his re-signing. 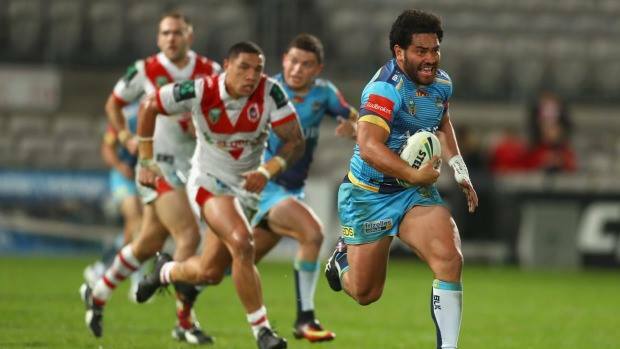 The Gold Coast Titans are now enjoying all the hard work the club put into developing Hurrell since 2011. Another player who has gone backwards in his development is quite possible the most important player in the team. I'm talking about Shaun Johnson of course. That is somewhat ironic when you consider McFadden was a halfback himself when he played in the NRL. Even worse is that he has the greatest halfback New Zealand has ever produced in Stacey Jones amongst his training staff. With the wealth of halfback experience at the club and the tens of thousands the club have spent on sports psychologists just for Johnson it just doesn't make sense that his development would suffer under the current conditions. Lately you have had players coming out in support of McFadden after yet another failed season. While it appears he may have the respect of the squad would players go out late to a concert the night before a game? Would 3 of your senior players lead 3 of your junior players out on a night prescription pill and energy drink abuse if they truly held the coach in such high regard? Jacob Lillyman has backed McFadden. "The last thing we need is another coach," he said. Simon Mannering and Ben Matulino also defended the coach on the After Match program on SKY TV after the Wests Tigers loss that cost us the season. Funnily enough both Lillyman and Matulino have been well below their best while Mannering gave up the captaincy this year. Players look to be saying one thing but doing another. If they are in fact behind the coach they certainly having been playing like it. Has Lillyman ever played for Cappy like he did during Game 2 of last years State of Origin? Has Matulino repeated his efforts of 2012 that saw him win the Warriors Player of the Year award? Why are the rookies like Lolohea and Ken Maumalo dropped for poor performances yet the seniors we rely on the most to set the standard are bulletproof. None more so then Manu Vatuvei whose poor handling skills are no longer being outweighed by his positives. Are the players happy to have McFadden as coach because they know their jobs are secure? Ivan Cleary had no problems dropping players to NSW Cup and we saw that happen to Russell Packer and Ruben Wiki. There is a need to also get rid of a few players who are not delivering or are simply deadwood but that's a natural process that a new coach would go through to tailor the team he needs to play his game-plan. This year with a squad that has either been signed, re-signed or debuted while McFadden has been in charge he has a win record of 43% while being the second worst defensive team in the competition. Even after hand picking defensive coach Justin Morgan. When you look back at McFadden's tenure as a whole its been average to put it nicely. With a win record of 44% (which is worse than his predecessor and mentor Matthew Elliott), the worst consecutive losing streak in Warriors history and missing the top 8 for all his three years at the job he is clearly out of his depth. The McFadden era hasn't seen any vast improvements in the clubs fortunes and with results being the only statistic that matters at the end of the day he's failed on all fronts. While no one has the answers as to which coach can actually turn this club around its certainly not Andrew McFadden. The club under Wayne Scurrah posed that question back in 2014. McFadden despite all his efforts has failed to answer. The fans deserve much better than what's being delivered. After 5 years of missing the cut most will be at their wits end. Enough's enough. The time for change is now. What a great article, says everything that needs to be said without the emotion that so often prevades this topic. The facts alone are pretty damning why anyone would want another year of this defies believe. This article is a great one! I've read articles that blame the culture, and players, and that's sad. If you can't coach a team, then you can't coach a team - end of story. That's it. Don't blame players, and the everyone else you can think of. Des Hasler, Wayne Bennett, Craig Bellamy, and the list goes on, of coaches that can actually coach and get the best out of their players. These coaches don't blame the players. They just get the results. It doesn't matter what team. It's sad that the Manly Coach that's in there now is blaming the players. I bet you if Des Hasler was back there, Manly would be right up the top again. It's the coach. I can't say that last sentence enough. I've had a lot of high school teachers, just to use this example, and some of the most memorable ones, were the ones that got the best of us, who gained our respect, and showed that they cared. This is like coaching. If warrior's management get this one wrong again this year, they should fall on their swords. The results speak for themselves. Player fallout, the poor culture that has been created from blaming players. I sort of wonder if the players wanted to lose on purpose at the end there. I know they (they players) always back the coach when they're doing bad, but I wonder if you got them into a room by themselves, and promised secrecy, whether they would actually say that. One player that came out and spoke his mind is now at the Titans about to play finals footy. I bet if the warriors got Des Hasler, or someone like that, that the Warriors would make it into the finals in the first year he's in charge. It speaks to the point that it's all about the coach. Look at Eddie Jones with the England Rugby team, a team that was doing bad, and all of a sudden they're beating everyone in their path. He took Japan from nowhere, to beat the Springboks! It's all about the coach. Ivan Clearly had gotten the Warriors into the finals so many times, that I think the fans didn't appreciate it anymore, and wanted to win the finals, so they gave him the boot, but look at the Rabbitohs, and the Roosters. Coaches have bad years, but they usually bounce back the following year. The current coach has had two and a half years, with 3 seasons to try and make the finals, and each year it has been the same. It seems like he hasn't gotten the best out of the players, and it seems players are too scared to say something. Even Jonathan Thurston said, that when Paul Green came over as a coach, his game picked up. "Thurston said the addition of Paul Green as Cowboys coach has been life changing — it felt like he was playing at a new club when he arrived. Now, he has totally changed the culture and standards of the club. “Greeny has raised the standards at training. He changed the culture of the club and the standards have risen on and off the field,” he said. “When he arrived it was like being a part of being a new team, really. I had that excitement and hunger back in me. I felt like I was a 21-year-old making my debut again.”"
Instead of saying the culture at the warriors had to change, this coach made it happen immediately. That's what all good coaches do. The fact that a coach may complain about the culture being bad, is like recognizing something but not knowing how to fix it. It's like recognizing that you can't coach. That you can't change that culture. All good coaches can do that. Des Hasler, Paull Green, Wayne Bennett, the list goes on. That is why the club pays the coach They don't pay the coach to go find problems, and then report back to them on it. Or even report to the press on what's wrong with the club. That just shows they can't coach. You don't have Wayne Bennett complaining about the culture. You don't have the All Blacks coach complaining about the culture. And yes, each team had incidents. 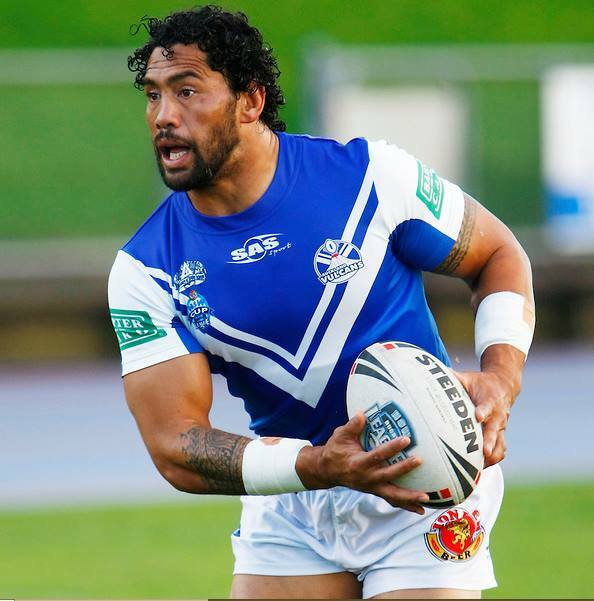 There are All Blacks that have been on the news, Canterbury Bankstown players been on the news for silly things they did off-field, and so many other incidents, but those teams still performed. That's what a coach does. He gets the best out of players, regardless of their circumstances. With this current coach, the results speak for themselves. Ivan Clearly did better, and he got fired. In fact a lot of other coaches did better, and they all got fired. Just think about coaches that got fired before a really good one came along and got them to the finals. Think - Paul Green, Des Hasler, Wayne Bennett, Craig Bellamy. All coaches with results. Unfortunately, the only coaching results that this current coach has with the Warriors, is not making the top 8. Even Stacey Jones has better results. Excellent points. The blog we are running gt all their submissions from guest writers. You should give it go. We'd be happy to publish you. 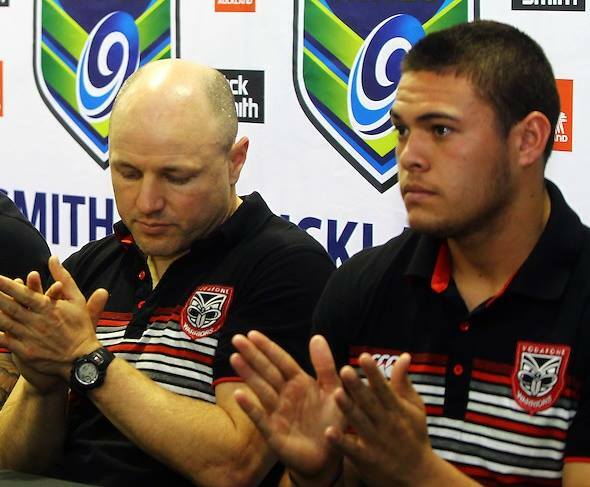 NZWarriors.com is a fan forum of the NRL side; the Vodafone Warriors, and is run by other likeminded fans. This website has no official affiliation with the Vodafone Warriors. Still got a question? Contact us. This site is fully funded by ads you see. We do not ask for any money to help run the site, but if you like what you see and want to help us bring new features and resources, please consider upgrading your account to a contributing member.